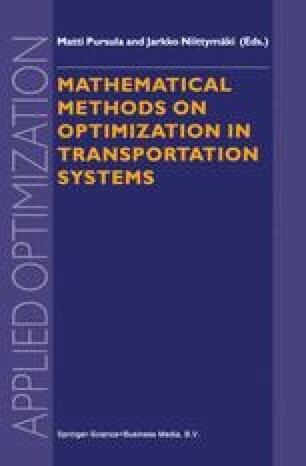 The paper introduces a mathematical optimisation method which could be implemented into software in order to assist the transport planner in his decision making. The method optimises some objective whilst moving towards equilibrium. This objective need not be total travel time, the aim may be to reduce bus journey time for example. The control parameters can be signal timings, prices or capacity expansions.